Instead of feeling apart from Oneness, in your Fear, move to feeling A Part of Oneness, in your Love. You are a Part of Oneness, a Partner of Oneness, a Part of God, a Partner of God – and God is Love, you are Love and God loves you always and all ways. 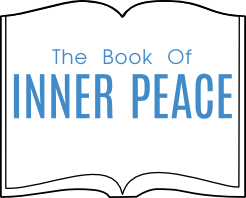 To re-create your Inner Peace, to have a mind at peace is easily obtainable and is maintainable as spelt out in the 18 Chapters of this Book of Inner Peace.